The Secret Service is coming under intense scrutiny after a man who hopped the White House fence made it all the way through the front door before being apprehended. President Barack Obama and his daughters had just departed the White House on Friday evening when an intruder scaled the north fence, darted across the lawn and into the presidential residence, where agents nabbed him. The security breach triggered a rare evacuation of much of the White House, with Secret Service officers drawing their guns as they rushed staffers and journalists out a side door. For the Secret Service, the incident was a devastating episode that prompted fresh questions about the storied agency and its ability to protect the president. Rep. Jason Chaffetz, R-Utah, who chairs the House subpanel on national security oversight, called it "totally unacceptable'" but said the incident was just one of a string of security failings on the Secret Service's watch. "Unfortunately, they are failing to do their job," Chaffetz said. "These are good men and women, but the Secret Service leadership has a lot of questions to answer." "Was the door open?" he added incredulously. On Saturday morning, Secret Service agents could be seen walking shoulder to shoulder across the North Lawn, apparently combing the turf for anything the intruder may have dropped during his sprint the night before. The Secret Service said only that the activity was related to the previous night's incident. The man in jeans and a dark shirt who scaled the fence shortly after 7 p.m. appeared to be unarmed, but ignored commands from officers to halt, Secret Service spokesman Ed Donovan said. He was tackled just inside the doors of the North Portico, the grand, columned entrance that looks out over Pennsylvania Avenue. A search of the suspect turned up no weapons. The Secret Service identified the suspect as Omar J. Gonzalez, a 42-year-old man from Copperas Cove, Texas. He was charged with unlawful entry into the White House complex and transported to a nearby hospital complaining of chest pain. Attempts to reach Gonzalez or his relatives by phone were unsuccessful. Although it's not uncommon for people to make it over the White House fence, they're typically stopped almost immediately and rarely get very far. Video from the scene showed the intruder sprinting across the lawn as Secret Service agents shouted at nearby pedestrians to clear the area. Only minutes before the breach, Obama had boarded his helicopter on the South Lawn with his daughters and one of their friends, who was joining the Obamas for a weekend getaway to Camp David, the presidential retreat in Maryland. First lady Michelle Obama had traveled separately to Camp David and was not at home. 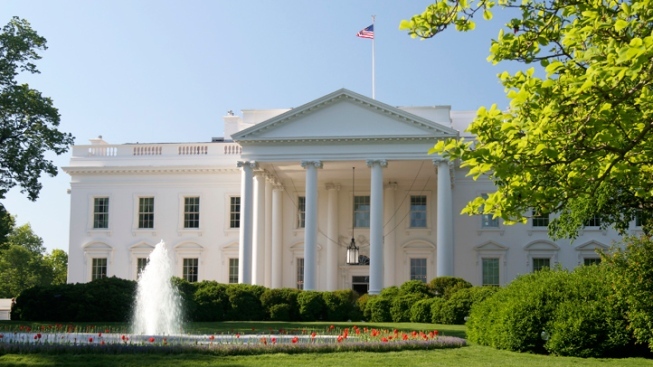 It was unclear whether any other fence-jumpers have ever made it into the White House, one of the most highly protected buildings in the world. But Friday's incident was just the latest setback for an elite agency whose reputation has suffered a succession of blows in recent years. In 2012, 13 Secret Service agents and officers were implicated in a prostitution scandal during preparations for Obama's trip to Cartagena, Colombia. The next year, two officers were removed from the president's detail after another alleged incident of sexually-related misconduct. And in March, an agent was found drunk by staff at a Dutch hotel the day before Obama was set to arrive in the Netherlands. Evacuations at the White House are extremely rare. Typically, when someone jumps the White House fence, the compound is put on lockdown and those inside remain in place while officers respond. Last week, the Secret Service apprehended a man who jumped over the same stretch of fence on the anniversary of the Sept. 11 attacks, prompting officers to draw their firearms and deploy service dogs as they took the man into custody.